In retrospect, we set ourselves up for disaster. Starting off the Yellowhead Tour after two nights of less than 5 hours sleep, and minimalist meals on board the ferry and train was not wise. Before we were even an hour into the first day's ride, Rich's body began to rebel. He lagged seriously behind, walked hills I knew he could cycle, and stopped frequently to rest. My queries after his well being were curtly rebuffed, but I knew we were in trouble when he stopped and put his head down on his handlebars. It didn't help that we encountered several challenging climbs early in the ride and that we were cycling into a headwind. Factors that are magnified by Rich's larger frame. This did not look good. I seriously doubted we would complete the day's 56 miles. I pressed harder and Rich finally admitted to being exhausted, and we put two and two together. Since I normally thrive on far less sleep and require fewer calories for my small stature, I was doing fine. Rich, however, was in a deficit state on both. Somehow having at least identified the malady helped. Rich managed to pull on some extra reserves, and muscled through the next 25 miles. Rich doesn't believe in carrying emergency food, but I do. 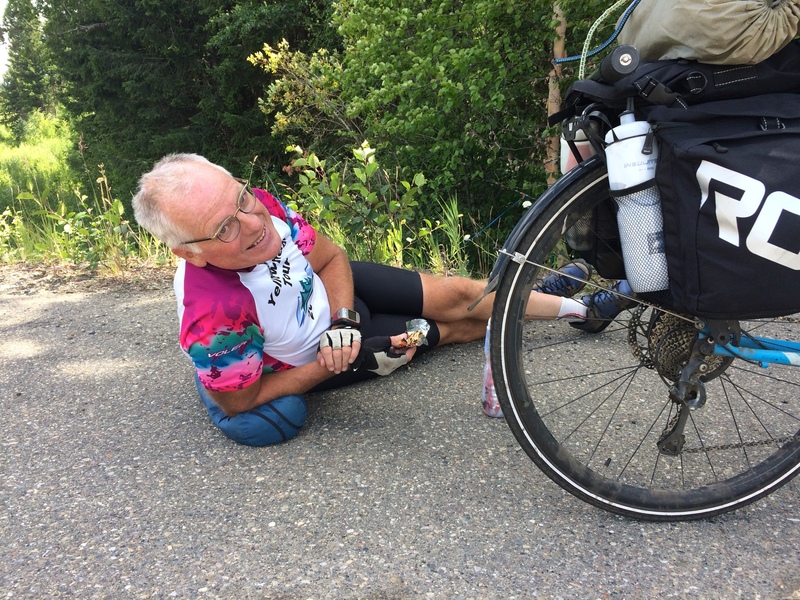 Stopping to rest, I offered an elegant buffet of my stash – bagels, peanut butter, granola bars and a KitKat – and wouldn't take no for an answer. The terrain flattened out half way through our ride. 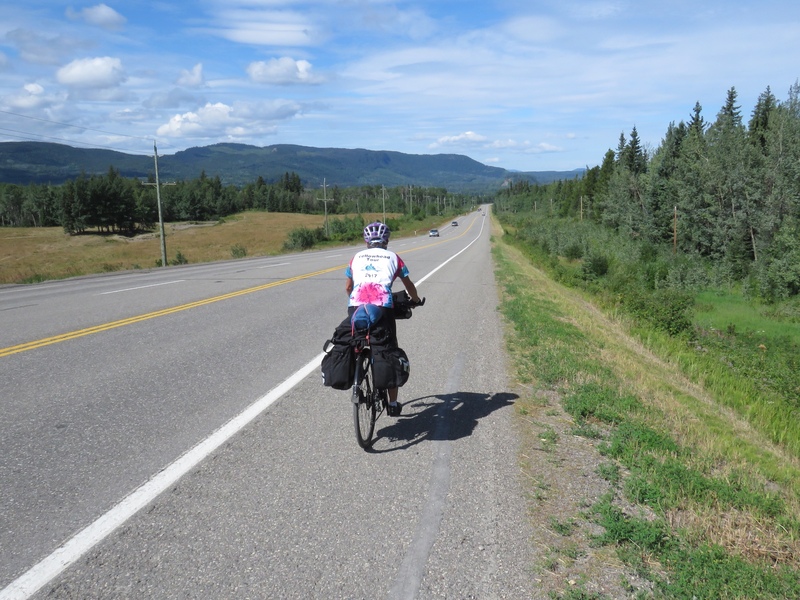 We were grateful for the relief, and our cycling cadence approached a near-normal level. Levity helped, and Rich added to his collection of wildlife signs. He's certain that these warnings mean we will see none of the pictured animals. So far, he's been right. By early afternoon I finally heaved a sigh of relief. We were going to make it. The tour was still on. We were still making slow progress, but it no longer felt desperate. Our Warm Showers hosts for the evening turned out to be farmers. 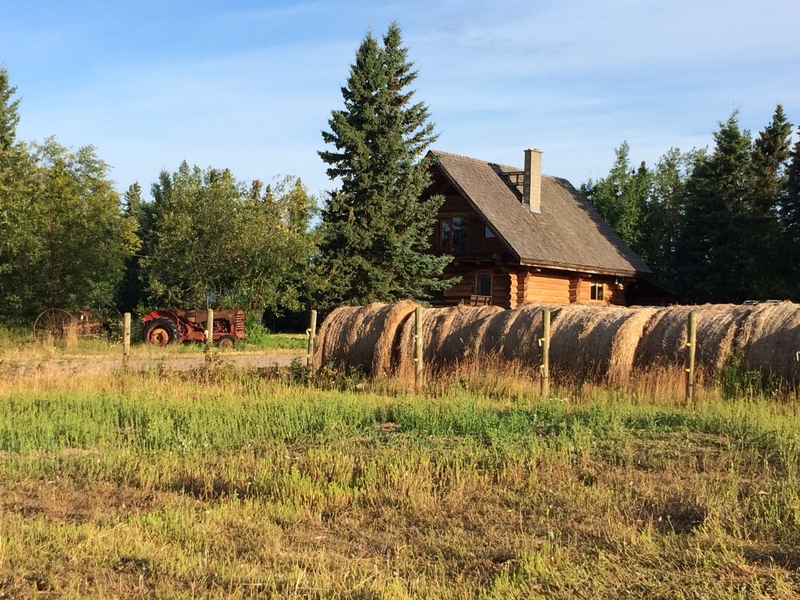 We arrived at the country location to find a beautiful log farmhouse and an energetic small farm in its first year of operation. Felicity and Gordon immediately put us at ease, and prepared a bountiful dinner of local ham and produce. The feast along with a long night's sleep had remarkable restorative powers. By morning Rich was raring to go. He may have started on empty, but there's still a tiger in that tank.